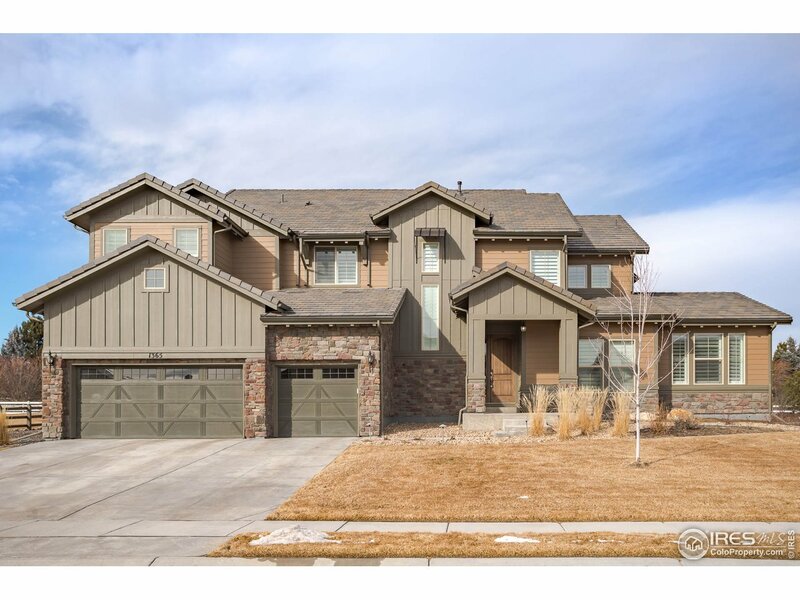 All Broomfield homes currently listed for sale in Broomfield as of 04/21/2019 are shown below. You can change the search criteria at any time by pressing the 'Change Search' button below. "Elegant estate on 2.71 acres in Spruce Meadows. Dramatic driveway, courtyard entrance. Entry w curved staircase. Chef's kitchen w huge island, breakfast nook opening to outdoor kitchen, covered deck w fireplace. Great room with stone fireplace. Study w private terrace. Formal dining w butlers pantry. Master retreat w sitting area, spa-like bath, private deck. Walkout bsmnt has full bar, incredible wine cellar, exercise room, patio. 2nd laundry on upper level. Elevator. Massive garage. Mtn views." "Elegant estate home sits on 2.71 acres in the luxury home community of Spruce Meadows. Dramatic driveway brings you to the courtyard entrance. Craftsmanship and attention to detail is evident throughout this stunning home. Upon entering a lovely curved staircase sets the perfect tone. Gourmet kitchen has a huge center island, breakfast nook opening to an outdoor kitchen and covered deck with fireplace. Formal dining room has a fully equipped butlers pantry. Great room with stone fireplace, glass"
"Extreme attention to detail throughout the construction process. Spray insulation added to underside of the roof, 3 furnaces for maximum efficiency & comfort, 1.5 floor decking, interior sprinkler system for maximum fire safety. Generator hook-up. Elevator makes this a great age-in-place home. Wide hallways, accessible bathrooms. Private Master retreat with separate laundry hook-up. Full sliding wall leading out to Lanai. Horses,hobby farm,gardens. Ideal location for future in-ground pool & spa"
"Custom home, 2.7 Acre fenced Horse property, mountain views. Next to open space/trails/equestrian trails. 2 story barn with hay loft/Winch. 6 BR/7BA has custom features throughout. Juliet Balconies, Rotunda windowed sitting area & many extras. Gourmet kitchen inside, outdoor gas grill kitchen w/gas fueled fireplace and walk out basement. A must see for it's beauty, soaring ceilings, spacious floor plan and elegance. Fully integrated smart home system and professional landscaping." "Beautiful custom home on 2.7 Acre Horse property with mountain views backing to open space/trails and equestrian trails. Fenced Paddock and 2 story barn that includes a hay loft with Winch. This 6 Bedroom, 7 Bathroom home has custom features throughout welcoming your family and guests with more than enough space for entertaining inside and out. Juliet Balconies and a Rotunda windowed sitting area are just a few of many extras. A Gourmet kitchen inside and outdoor gas grill kitchen with gas fuele"
"Fully renovated home on horse property sits on 1.7 acre and is tucked within Pony Estates, a rural setting, minutes from top schools, restaurants, and shopping; just 30 minutes to either downtown Boulder or Denver. 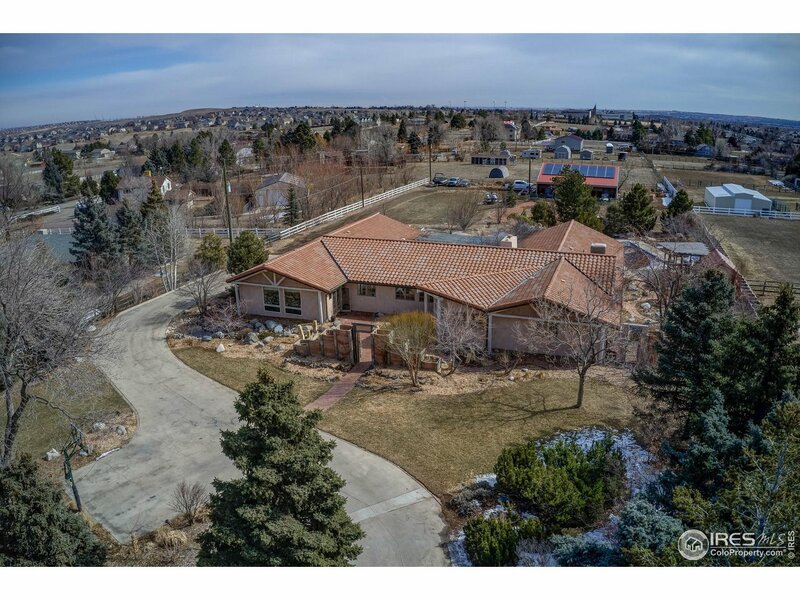 4-Bedroom/5-Bath Ranch-style home, featuring the utmost in craftsmanship, feeding into highly acclaimed Boulder Valley School District; in unincorporated Boulder County, resulting in lower taxes. Automatic gates, antique exterior entrances from India, surround the entire private prop"
"Fully renovated home on horse property sits on 1.7 acre & is tucked within Pony Estates, a rural setting, minutes from top schools, restaurants, & shopping; just 30 minutes to either downtown Boulder or Denver. 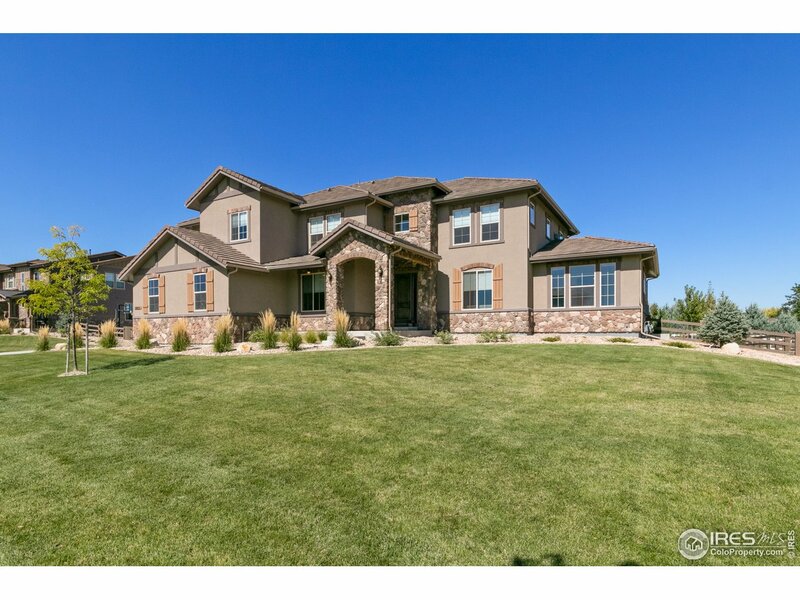 4-Bedroom/5-Bath Ranch-style home, featuring the utmost in craftsmanship, feeding into highly acclaimed Boulder Valley School District;in unincorporated Boulder County, resulting in lower taxes. Automatic gates, antique exterior entrances from India, surround the entire private property." "Live luxuriously in a like-new Toll Brothers built home in The Preserve at McKay Shores. Gourmet kitchen with numerous upgrades, open layout living with floor-to-ceiling windows, main-floor office with built-ins, private upstairs master suite and a main-floor guest wing. The custom-finished basement boasts an exercise room, additional bedroom suite and unbelievable wet bar. Oversized lot with gorgeous covered patio, outdoor kitchen and fire pit. Come check out your oasis, convenient to Denver an"
"Live luxuriously in a like-new Toll Brothers built home in The Preserve at McKay Shores. Gourmet kitchen with numerous upgrades, open layout living with floor-to-ceiling windows, main-floor office with built-ins, private upstairs master suite and a main-floor guest wing. The custom-finished basement boasts an exercise room, additional bedroom suite and unbelievable wet bar. Oversized lot with gorgeous covered patio, outdoor kitchen and fire pit. Your oasis, convenient to Denver and beyond!" "Gorgeous luxury home in The Preserve at McKay Shores on acre with South facing driveway. This home is stunning with soaring ceilings, wide-planked hardwood floors, expanded great room, morning room & kitchen island with high grade chiseled edge granite & 11k in upgraded Jenn-Air gourmet kitchen package. Home is wired for cat 6 and includes 5.1 surround sound in great room, audio & speaker system indoors & out, upgraded carpet & pad, professional landscaping, (2) electric car chargers in garag"
"Gorgeous luxury home in The Preserve at McKay Shores on 1/2 acre with South facing driveway. Home features walls of windows with 5 louver clear view shutters throughout. True chef's kitchen with upgraded Jenn-Air appliance package featuring 6 burner gas stove, griddle and 4 ovens. Enormous great room with natural stone fireplace and great room elite, both wired for 5.1 surround sound. Master suite features seating area, 5-piece bath with dual head frameless shower & custom closet built-ins." "Welcome to this gorgeous, professionally remodeled, custom home situated on a .34 acre corner lot, located in a quiet cul-de-sac in the desired gated golf community of the Broadlands. No detail has been spared from the inviting landscaping to the exquisite interior finishes. The home boasts all new hard wood flooring, new front and all new interior solid core doors, totally redesigned Gourmet kitchen, and high end KitchenAid appliances. The custom cherry cabinets, quartz and granite counterto"
"Luxurious 2-Story 5-Bedroom/4-Bath executive home on one of the best lots within the highly desirable neighborhood of Wildgrass, feeding into Boulder Valley School District; on over half an acre with panoramic mountain views from the gourmet kitchen, great room, master, and back patio, nestled on a quiet cul-de-sac, in a well-planned family-oriented community with access to Broomfield Open Space trails just steps away. 10' ceilings throughout main level with huge windows offering natural light." "Luxurious 2-Story 5-Bedroom/4-Bath executive home on one of the best lots within the highly desirable neighborhood of Wildgrass, feeding into Boulder Valley School District; on over half an acre with panoramic mountain views from the gourmet kitchen, great room, master, and back patio, nestled on a quiet cul-de-sac, in a well-planned family-oriented community with access to Broomfield Open Space trails just steps away. 10 ceilings throughout main level with huge picture windows offering lots "
"Open Sat 4/20 1-4. Toll Brothers beauty in exclusive Enclave surrounded by Broadlands Golf Course. Custom architecture defines this home. Gorgeous dark wood floors lead to stunning grand staircase. Cook s kitchen w/granite, high end cabinets, SS appliances & eat-in nook. Stunning 2 story family room with a wall of windows. Relax on your covered patio by the stone fireplace. Lovely formal spaces, office w/French doors & mud room w/built in s by laundry. Two staircases access the split b"
"Location.Location.Location. Gorgeous cul-de-sac home in the exclusive Enclave subdivision on what is undeniably one of the best lots in all of the Broadlands. Enjoy stunning sunsets over the Rocky Mountains from this western facing backyard bordering the 16th fairway of the Broadlands Golf Course. The light-filled open floor plan features dramatic 30 ft ceilings. Dual staircases lead up to a laundry room and 4 bedrooms including a spacious master with 2 walk-in closets and a large bathroom. A ja"
"Popular Aspen model with beautifully finished walkout basement backing to open space with amazing mountain views. Open floor plan, large gourmet kitchen with double ovens & large island. Enjoy the sunsets over the mountains from the large covered deck. Great home for entertaining. Light & bright, professionally finished walkout basement has a kitchen, great room & 2 bedrooms. Professionally landscaped yard with flagstone path in side yard. Great location with over 48 miles of trails just outsid"
"Special & spectacular home overlooking the Broadlands Golf Course. Maintained to perfection, this luxury home boasts features and finishes worthy of this beautiful location. Style & charm abound w/crisp white woodwork, trim & crown molding, rich Brazilian cherry flooring and stunning plantation shutters throughout. A wonderful oasis awaits in backyard. Home sits on the 3rd hole of the golf course w/beautiful views of the course and pond, as well as mountain views framing the beautiful yard." "Special & spectacular home overlooking the Broadlands Golf Course. Maintained to perfection, this luxury home boasts features and finishes worthy of this beautiful location. Style & charm abound with crisp white woodwork, trim and crown molding, rich Brazilian cherry flooring, stunning plantation shutters throughout, custom wine vault in the dining room, outdoor kitchen, fire pit, workout room, home theater plus many more notable features. Through the home and out the back, a wonderful oasis aw"
"This 6 Bed 7 Bath Masterpiece boasts 6,758 sq ft of finished living space sitting on over a quarter of an acre. This home has spared no expense and been meticulously designed from top to bottom! From the grand entry to the designer kitchen the attention to detail is impeccable. Walk into your expansive Master Suite with a stunning 5 piece bath and showpiece walk in closet! Three other additional bedrooms and two full baths accompany the upstairs loft, laundry, and catwalk overlooking your grand "
"Fantastic Views from this Anthem Ranch 55+ outstanding community. 100+ clubs& 48 miles of trails & 30,000 sq ft rec center. 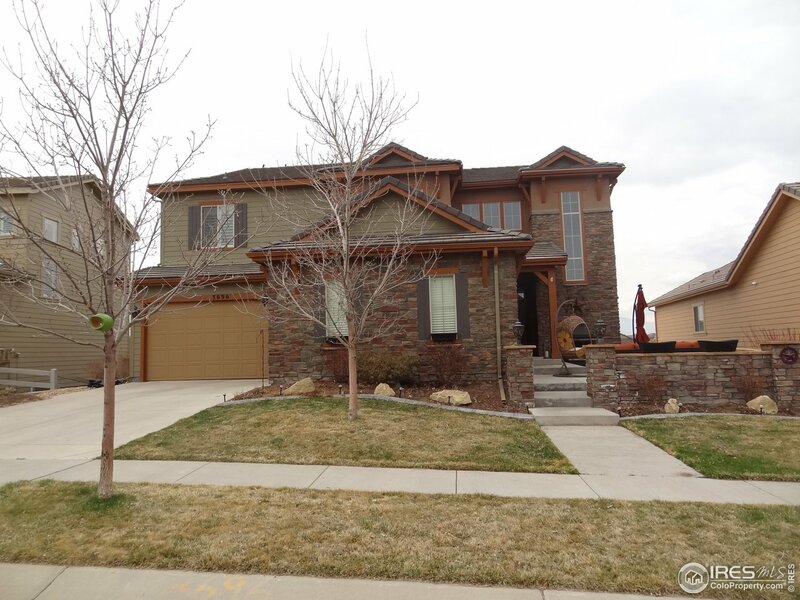 Rare 3 bed/3.5 bath home situated on greenbelt & open space area. Views of the mountains & lake from large covered deck are not to be missed. Large open kitchen w/an abundance of cabinets with rollout drawers. Granite in kitchen w/cherry cabs, eat in kitchen and formal dining. Extra closet in dining room with lots of storage in garage. 5 Piece Master has large walk-in c"
"DREAM HOME! Gorgeous upscale home in the Anthem neighborhood. Unobstructed views of the mountains. Close to everything - 10 min to Flat Irons Mall <20 min to Boulder <30 min to Downtown<30 mins to DIA. Open concept layout leading you into gourmet kitchen and two adjoining eating spaces. Gas fireplace and beautiful modern fixtures. Large finished basement with rec. room. 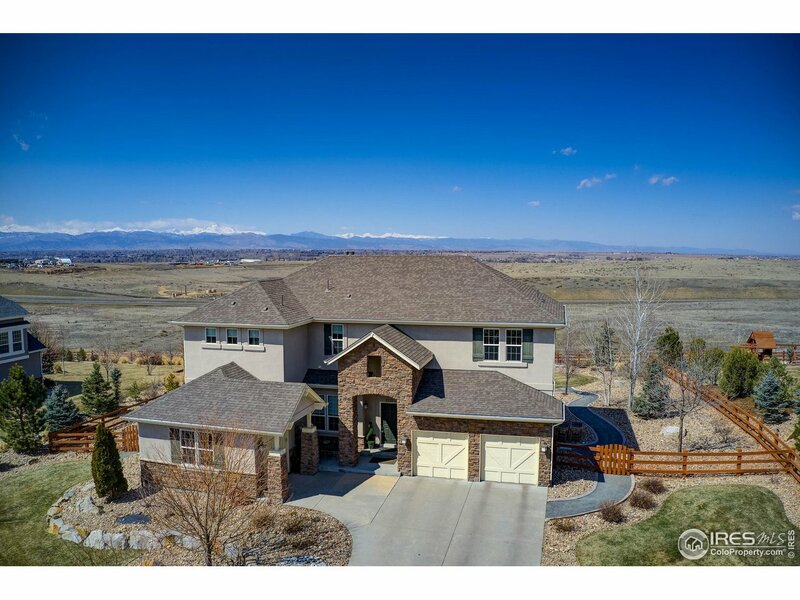 Upstairs Master is gorgeous with walk-in closet, attached 5-pc bath and mountain views! Extra large porch for entertaining"